Calorie free, fat free, carb free, paleo, keto, low carb, vegan, noodles. a link up with Becky, Heather, and Amanda. Ker-POW! Happy Merry (outdated and very late) New Year’s Eve’s’ Eve! And because I couldn’t say it last Friday because I’m stepping back from blogging a bit(oh my gosh, I can’t wait to tell you what I got on December 26th! ), Happy Christmas and Merry Boxing Day! Don’t judge me for switching the words–if Nigahiga does it then it’s right(oh yeah, speaking of youtube, you guys should totally follow me on youtube here and here). You must be thinking it tastes like yucky 0 calories too, and I’ll be first to admit I wasn’t too fond when I first opened the bag either, but they taste just fine provided you cook them right. Skinny noodles are made of water and Konnyaku(Glucomannan) and packaged in calcium hydroxide to retain freshness. They are a fantastic alternative to pasta lovers who can’t take the carbs or calories because they “hold the space” for the pasta as you add the real meat and potatoes of the whole Italian dish–the sauce of course. Look, they even have a rice version for rice lovers. How the hell do I prepare it right? Pay attention; this is the most important part or you’ll end up eating something nasty. First, drain the noodles from the package and flash boil them in hot water for 5 minutes. Drain them again and pat them dry. This gets rid of the fishy smell from the solution in the bag(I promise you, these noodles do not taste like fish, like many people who failed to properly prep claim.) Now, you can use these noodles like regular pasta noodles: make Alfredo with them, put them in pho, make Chinese stir-fry…the possibilities are endless! I personally encourage you to use them in strong flavoured-sauces because they soak up flavour quite nicely. I use them often in homemade pho and they taste just as good as the regular thing. How do they compared to pasta? It doesn’t taste exactly like pasta. It’s not starchy or munchy like regular al dente, but rather a slightly bouncier texture and is super easy to chew through. It holds onto water because its partly made from water, but it absorbs flavour pretty well. Where do I get some?! 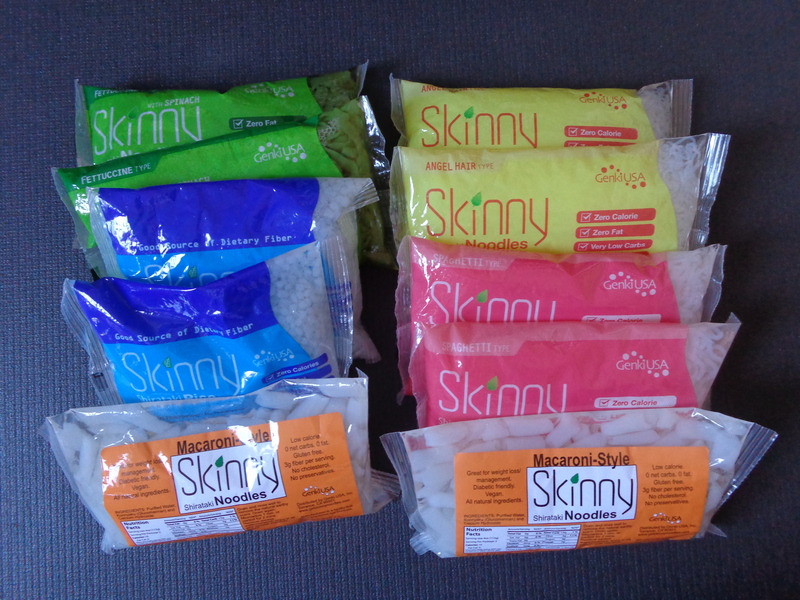 You can purchase them right from their website and if you click here, you get 15% Off Most Skinny Noodles Items + Free S&H or you can get them off of Amazon. I cannot express to you my love for noodles like these(oh ps–they make your favourite pasta shapes like macaroni and Angel hair. They also have “rice”!). They are any-diet-friendly and they are such a fantastic way to fill your belly with volume but without the calories. Stay tuned for future recipes, okay guys? Best pasta sauce ever? Why? 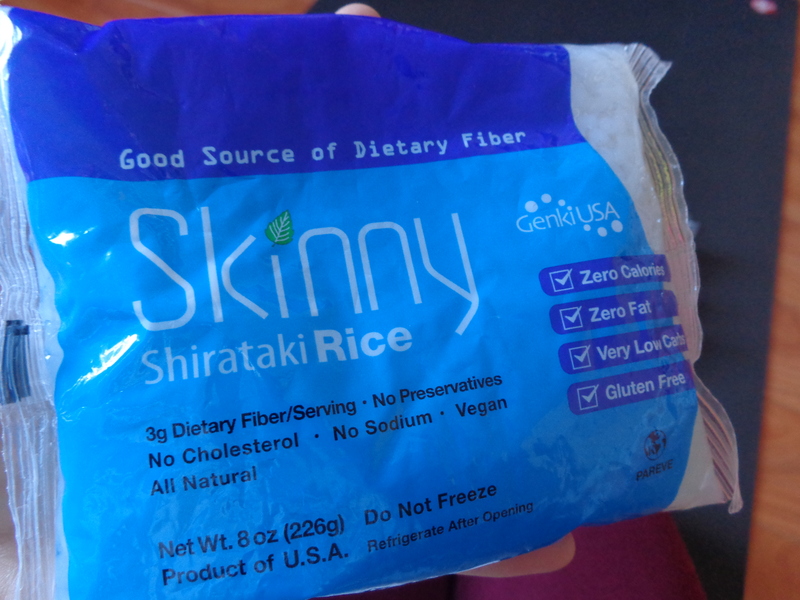 This entry was posted in Reviews & Giveaways and tagged calorie free, carb free, noodles, shiritaki, skinny noodles, vegan.